You’ve got a strong message, and if you’ve been thinking about writing a nonfiction book, you may feel hesitant because you don’t know how to get started. That’s no surprise. You can spend a lot of time spinning your wheels and burning precious hours if you don’t have a process to follow. But when you have a step-by-step method and follow it faithfully, you can systematically write a high-impact nonfiction book that will stand shoulder-to-shoulder with the best on the market. Your starting point is here, where you have nothing. 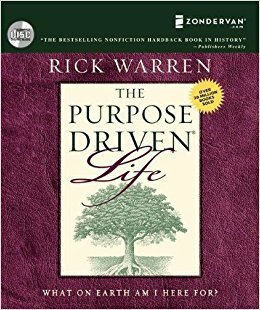 Your endpoint is the published book and its purpose, which is reflected in your Purpose Statement. 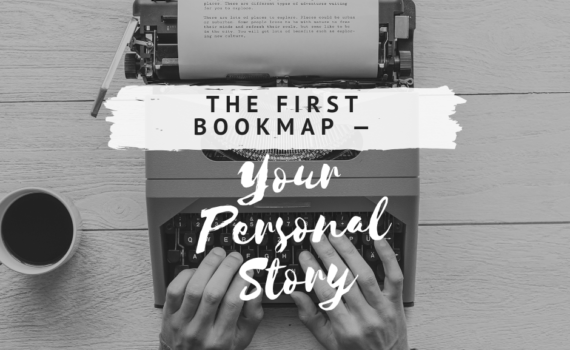 Let’s talk about the beginning stage-the BookMAP. When you take our book writing class, you’ll learn that your personal story is one of the most important parts of your book. Some writers, particularly if they’re writing a business book, want to leave out this part and simply share their knowledge or instruct the audience. That would be a mistake. Before you can tell your readers anything, you must earn the right to be heard. Nobody likes to be told what to do, especially if they don’t know anything about you. What makes you an authority on this subject? Why should they listen to you? Those are the questions you answer when you share your own story. And your readers don’t want the whitewashed version of you. Share your high points and the deep canyons, the wins and the demoralizing losses, the beautiful and the ugly. You must be real and transparent. So shuck off your pride that tells you if they know who I truly am, they won’t like me. That’s bunk. When you’re real, people will love you. 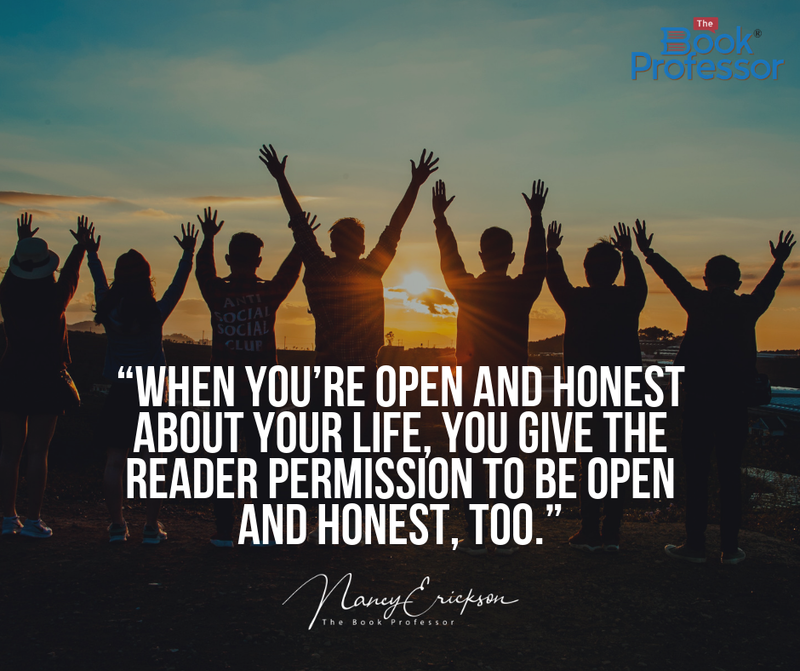 When you’re open and honest, you give the reader permission to be open and honest, too. I’m not saying it’s easy. It takes a lot of courage to be this vulnerable. We all want to put our best foot forward to make a good impression. We like to hide the messes we’ve made, but sometimes the mess has become your message. That’s what’s so effective about my Executive Group Coaching classes. In this book writing class, you get to share your failures and foibles in a safe place, test out your message with others in the class, and gain strength from doing so—before you bare your skin to the world. What about you? What personal story do you have inside? Contact us today, and we can help you get it out of your head and onto paper! I love meeting people who want to write stories. But you know what I love more? Meeting people who want to write stories that have a purpose, which is something I stress in my book writing courses. I recently heard a podcast, and the speaker suggested that not everyone has one true calling. She dubbed people who have many interests and talents as multipotentialities. 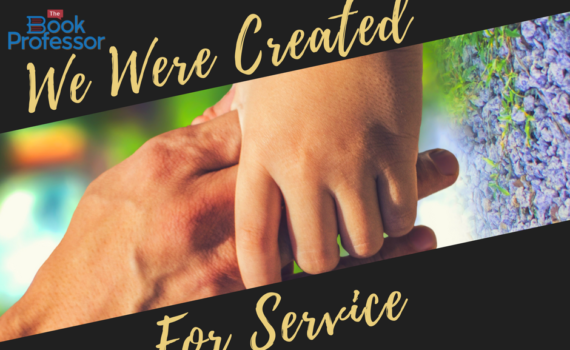 She said that living in a society that asks “what do you want to be when you grow up?” can have a detrimental effect because it makes people feel they have to commit to one thing forever—and that many of us don’t have one “one true calling” or one purpose. Interesting. I know what it’s like to go through life doing jobs that were never suited for me in the first place. (Yes, I was once the owner of an asphalt paving company!) But I do believe that we were all put on earth for a purpose. It’s no different when writing a book. You must focus on the purpose of your book. It’s the only way you will impact your audience and make a difference in their lives. The Purpose Statement for your book is exactly what it sounds like. It’s a statement—a single sentence, not a paragraph—that states what your book will accomplish for its specific audience. If you want your book to make an impact, it must perform an action. The purpose of this book is to do ___action_____ for _audience_____. 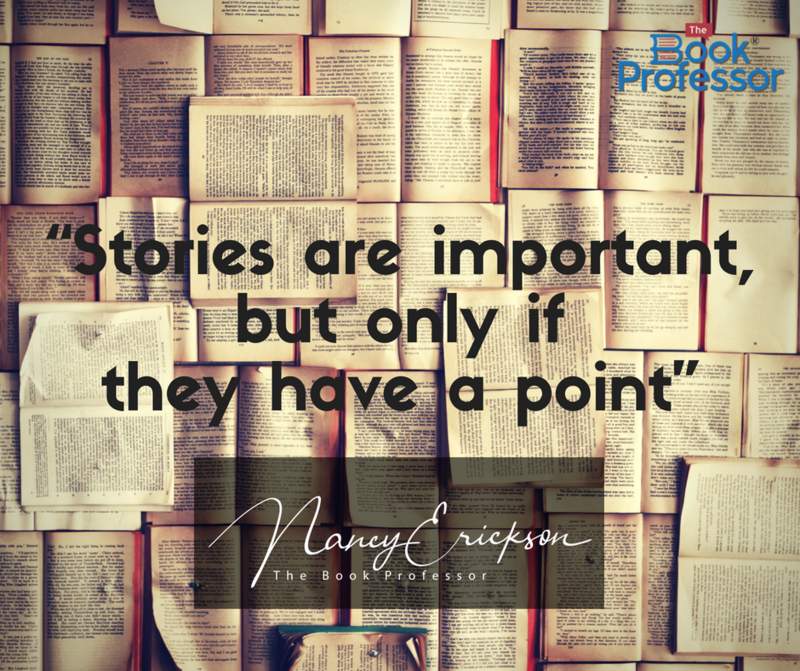 What do you want your book to do? Hard question. Maybe it’s easier to explain what you don’t want it to do: You don’t want your book to raise awareness. Seriously. You might think, I think I do want to raise awareness. Actually, you don’t. If you write a book to raise awareness, you miss an opportunity to change lives, save lives, or transform society. You could write the most captivating, awareness-raising book in the world, but at the end, your readers’ response will be, “Well, that was interesting. Now I know about that.” Then they’ll shut the cover and promptly forget about it. Or maybe it will stick with readers for a few days, and they’ll think, “Somebody should do something about that.” But that’s as far as it will go. In the end, you’ve spent your time, energy, emotion, and money to write a forgettable book. The purpose of this book is to _action_ for _audience_ so they can result. What change do I want to invoke in my readers? Change implies action. 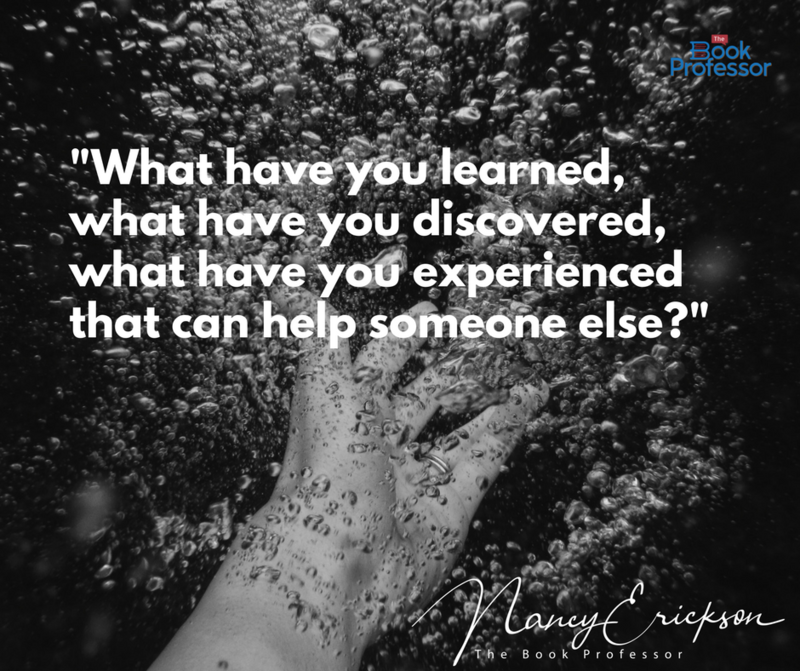 Nancy Nelson, Lessons from the Ledge: The purpose of this book is to guide women in crisis to dig into their resilience, to push past the pitfalls, and to reframe the pain so they can thrive instead of merely survive. The purpose of this book is to guide (action) women in crisis (audience) to dig into their resilience (result 1), to push past the pitfalls (result 2), and to reframe the pain (result 3), so they can thrive instead of merely survive (result 4). Your Purpose Statement is the foundation of your book. It defines your mission and describes your job as the author: to deliver your audience to realize the purpose of your book. It should be clear, concise, and specific. It’s the guide for everything you’ll write. What about you? If you or someone you know is ready to tell your story with purpose, please contact us and we can help you enroll in a book writing course today! As a book writing coach, I’ve worked with many students to help them describe seasons in a way that makes the reader feels like they’re actually there in the story. And my favorite season to describe is Fall. Whether it’s taking a long stroll through beautiful foliage, apple picking with the kids, or curling up on the sofa with a good book, there’s something about Fall that brings me a sense of peace and returns me to a concrete work routine. Summer gets me out of my routine and pulls me away from my goals because of vacations, time off with the kids, or just bumming around in the sun; Fall magically helps me to refocus. 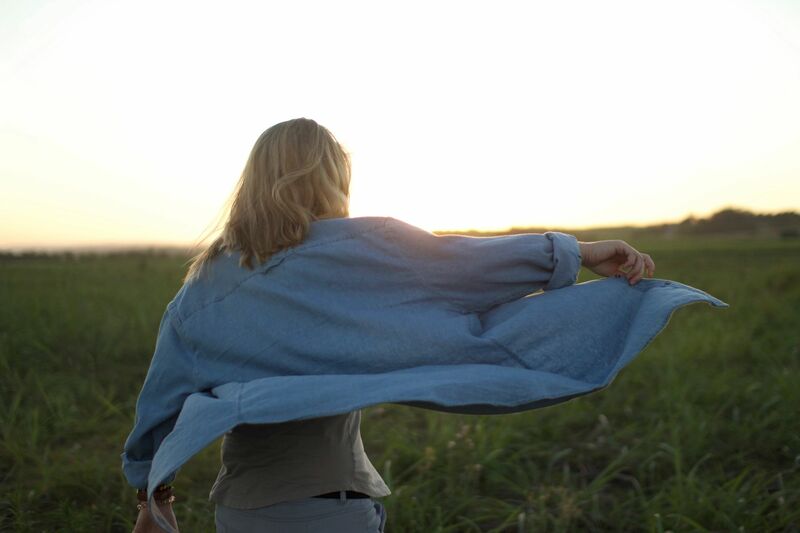 And do you know the best aspect about refocusing? It’s refocusing with accountability. When you refocus on your goals for the year, if you include someone with whom you can be accountable, it’s much more likely that you’ll finish 2018 having accomplished what you set out to do. Last fall, I had to pause my workout sessions with Brent, my trainer, because I had minor surgery that required two weeks’ recuperation. After that, Brent and his wife had a baby, and he took off for ten days of family time. Then I was traveling, and during that trip, I contracted a nasty bronchitis that turned into pneumonia. When I was finally well again, Brent got sick and was out for two weeks because either he or his kids were sick. When we started back up, his new baby was seven weeks old, and I was out of shape. I hadn’t worked out for nine weeks. Of course, I could have worked out by myself during that time, but I didn’t. I have no excuses because we have a home gym complete with a full set of weights, a workout bench, a treadmill, and a gym-quality elliptical trainer—all the tools I needed to keep up with my exercise program. But when I lost the accountability, I lost my motivation. If I hadn’t restarted my sessions with Brent, it’s quite likely that my exercise program would have ended there. I don’t know if you’re a goal-setter, but I’ve become one—somewhat reluctantly. I don’t like to set goals because I don’t really want to be accountable to them. I don’t want to set a goal and fail, so I prefer just not to do it. And yet, if I don’t set goals, I don’t accomplish anything significant. This is especially true if I need to refocus back on my original goals. When I first started the practice of goal-setting as a book writing coach, I’d write down my ultimate goals and hope they’d come to fruition. But that wasn’t a realistic approach. I had to break each goal into smaller steps and execute those steps to move forward. There are tons of books on how to set goals and break them into smaller tasks, and that’s all well and good. But these resources weren’t helpful to me until I added the layer of accountability. I need to have someone to answer to. This is especially true if you’re writing a book. 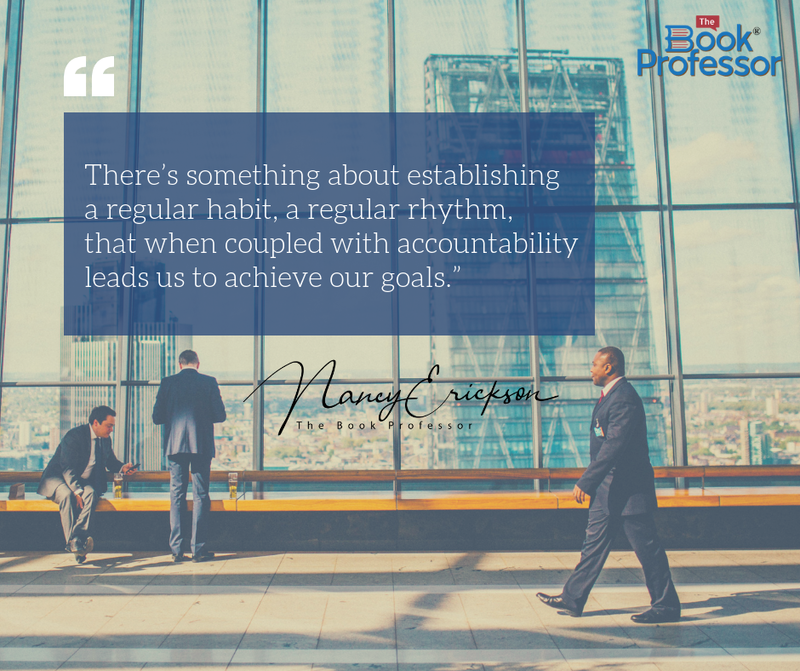 If you want to write your book, you not only need a step-by-step plan, you also need structure and accountability. 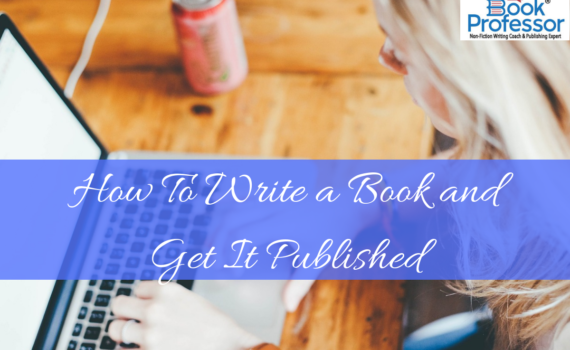 It takes a year to write a book, and it isn’t reasonable to expect that you’ll keep going and going week after week, for fifty-two weeks, without a little kick in the pants every now and then from a book writing coach. What about you? 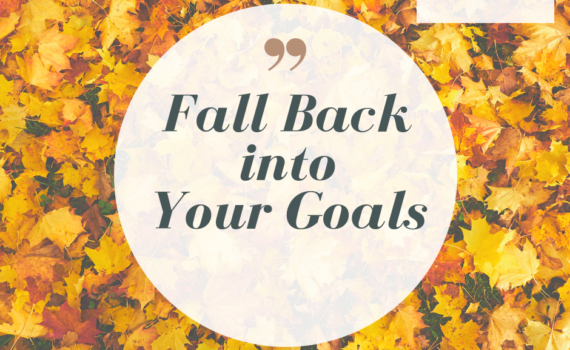 Are you ready to refocus your goals and get back to writing? 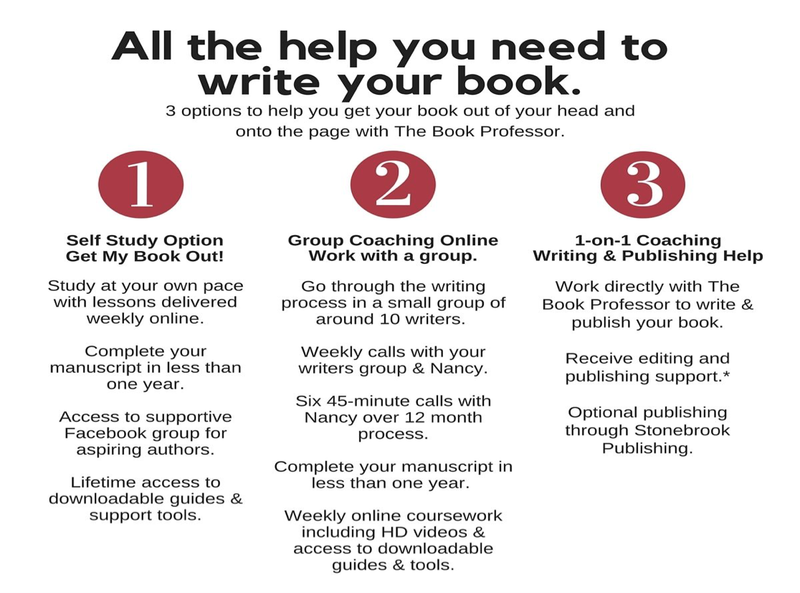 Contact us today and we can set up with a book writing coach to keep you accountable! Can you believe half of the year is already over? If you’re like most people busy with work, family, or school, it might be hard to believe that we’re already six months into 2018. My Operations Manager had her second baby last fall, and I’ve heard her say many times that “it feels like these last several months have been a blur!” Well, if you’re not busy with work or adjusting to new babies, you might be wondering, What have I done with my time these last six months? Have you achieved any of those goals you wrote for the new year? What about work—did that promotion you worked hard for last year come to pass? As a creator of several book writing classes, I know firsthand the importance of time. Many of the clients I work with are busy executives and career professionals. Not only are they juggling the demands of work, but many of them have families with several children. 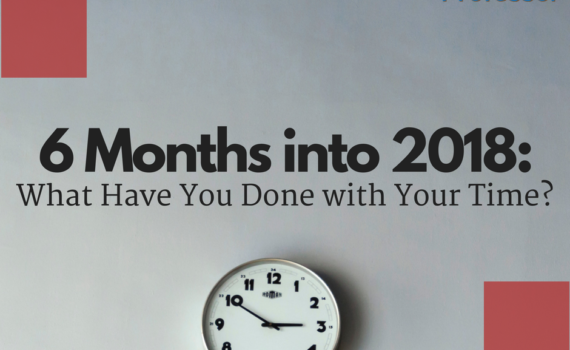 So how does a busy professional with a family have time to write a book in less than a year? The answer: prioritize. When I started graduate school at the age of 48, I had to change my attitude. Graduate school was for a season of my life, not its entirety. To achieve my goal and earn my degree, I knew I had to cut out everything I could to get the work done. After all, it was only two years. That time is going to pass anyway. I might as well have something to show for it. Writing your book is a lot like going to school. You have this major project that you work and work and work on, and you think you’ll never get finished, you’ll never get out of school. Then one day—voilà! It’s over! You have your book in hand, and you can start doing the other things you love again. The year it takes to write your book is going to pass anyway. You might as well have something to show for it. At The Book Professor, we offer book writing classes for every lifestyle and budget. Are you ready to have something to show for the last six months of 2018? 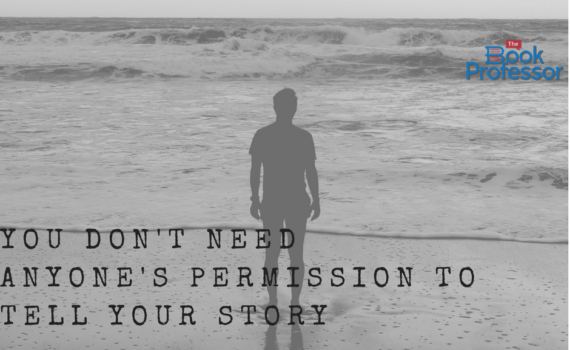 If you or someone you know is ready to share your story with the world, contact us today and we can help you with the next step! 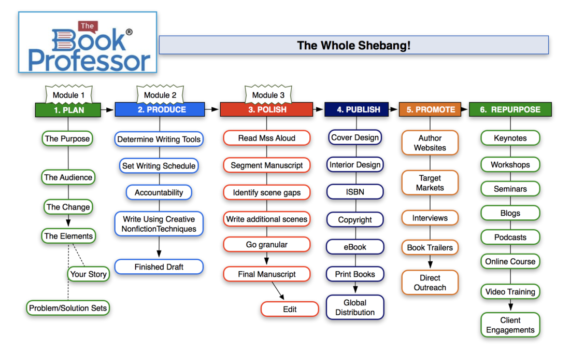 For more information on our class offerings, please visit us at www.thebookprofessor.com. Writing is not the best occupation for your health. 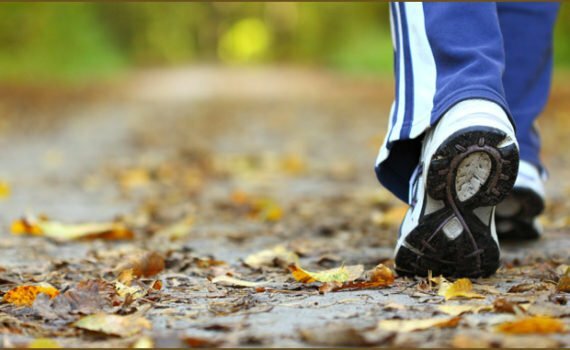 For most of us, writing involves a lot of sitting, which is why a good walk may be the best writing exercise there is. I was struggling writing an article for a blog (not this one, but one for Disc Makers, BookBaby’s sister company) about Brian Wilson’s album Smile, when I decided to take my advice from this article and go for a walk. I was literally around the corner from my house when I became inspired, and all was right with the world. During that same walk, I also figured out how to best approach this article, and even had ideas for two future articles. Not bad for a 30-minute stroll. Writing is not the best occupation for your health. For most of us, writing involves a lot of sitting, and there is a growing amount of research on how sitting for long periods is unhealthy. According to the Mayo Clinic, “Too much sitting … seems to increase the risk of death from cardiovascular disease and cancer.” “Too much” sitting, according to the Mayo, is sitting for four or more hours a day. That’s basically every day for me. Not only is sitting for long periods bad for your health, it’s also bad for your writing. Your brain works best when it’s stimulated. Sitting for long periods of time can make your brain sluggish. So, in a way, writing is actually kind of bad for your writing. How’s that for a catch-22? Luckily there is a quick fix to both problems: Walking. So why walking as opposed to, say, cross-fit? Frankly, any (safe) exercise is better than no exercise. So if you’re into a specific type of exercise, by all means, do it. It will make you healthy, happy, and better able to write. But there are three kinds of exercise that are especially suited to writing: walking, running, and biking. What these three have in common is that they are solitary and monotonous. In short: they are perfect for letting your mind wander. I love racquetball. It’s fun and it offers an excellent workout, but it’s not great for helping me write. It’s not a solitary activity, and I have to think about the activity at hand. Yes, it’s good for stimulating the heart and the brain, but it doesn’t give my mind time to wander. Your mileage may vary, but I find that to get the most out of walking, I need to walk without listening to music, and I need to bring my cell phone, with a dictation app launched and ready. I use Dragon Dictation, which is free, and which works pretty well. 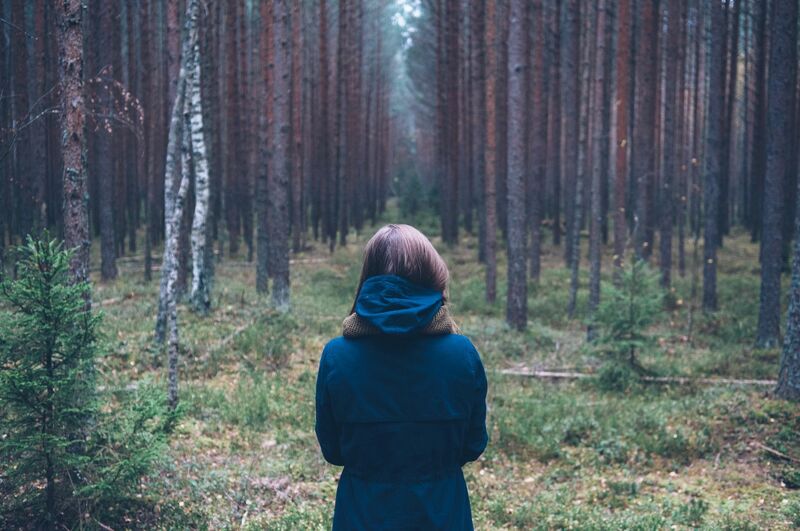 I prefer to walk at a brisk pace to get the maximum health benefit, but maybe your mind works better at a casual stroll so you can appreciate your surroundings. I have a dog. When I first got her, I was hoping that walking her would give me the same benefit as walking solo, but I have not found that to be the case. So I have to walk her, and then go and walk myself. Some people are lifelong learners and love the process of going from not knowing anything in a subject area to becoming proficient, like learning to write a nonfiction book. That makes sense. We all want to be the best we can be. But along the way, we have to learn a lot of little things that can either make us the best at what we do or, if we choose not to learn them, will keep us in the pack of average Joes. But here’s the deal with me: I only want to know as much as I need to know to use a tool for my intended purpose. In fact, I detest the learning curve. I generally try to find every possible way around it, so I can get on to the using stage. Learning frustrates me; knowing satisfies me. But that’s, unfortunately, not the way the world works. So to know something, I must go through the pain of learning. And I have to follow a process, but I can’t even do that if I haven’t made the decision to do something new and follow through. You know what the hardest part about learning to write a nonfiction book is? It’s making the decision to do it. You’ve probably had the idea for your book for some time. I bet it’s been percolating in your head, begging to come out. At times, it probably drives you crazy. But books don’t write themselves, so the only way yours is going to get written is if you make the decision to do it. 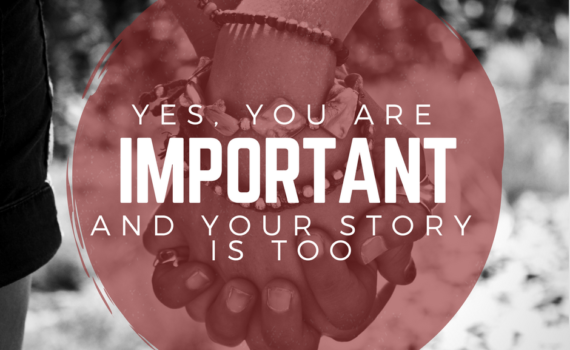 It’s your story. Only you can write it. Whenever I travel, it seems I’m seated next to a chatty type, and it’s always fun to get acquainted. On one flight, I sat next to Don, and he and I discussed the usual getting-to-know-you topics. When he asked me what I do for work, I explained that I help people who aren’t writers become authors of high-impact nonfiction books. “Then why don’t you?” I asked. Don’s answer spoke volumes. He’d flirted with the idea of writing a book but had never taken it further than just that—the idea of writing a book. People tend to glamorize the writer’s life; they don’t realize that it’s a lot of hard work, and it takes a lot of time. Don never made the decision to write his book, so it’s unlikely that he ever will. If you don’t know how to write a nonfiction book, how could you know how to get started? Some people just sit down and start writing. But they soon discover that all the ideas that have been rattling around in their head have no form, no shape. What comes out is like a spaghetti mess—a bunch of unconnected threads. They have a message, but they don’t know how to get it down on paper. The problem with the “write-first” approach is that it’s like trying to build a house without any plans. You have no blueprint to follow, no foundation poured; and you don’t know what the house will look like when it’s finished. I don’t know a lot about building, but I do know that you don’t put up the walls first. The walls have to be attached to something solid. So before you build anything, you pour the foundation. 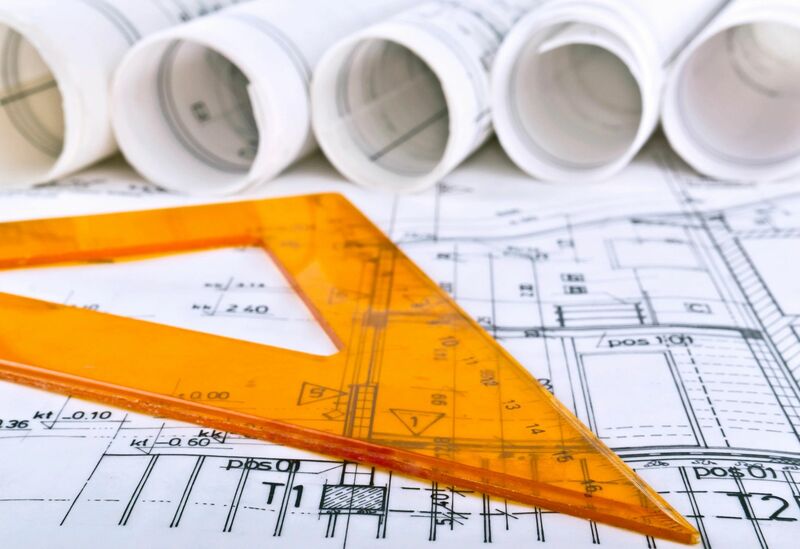 But even before that, you need a comprehensive plan—a blueprint that shows where each room will be and what features it will have. Before you pull out your hammer, you have to have a plan. To do that, we start with the foundation. You may know the topic of your book, but do you know what you want your book to accomplish? 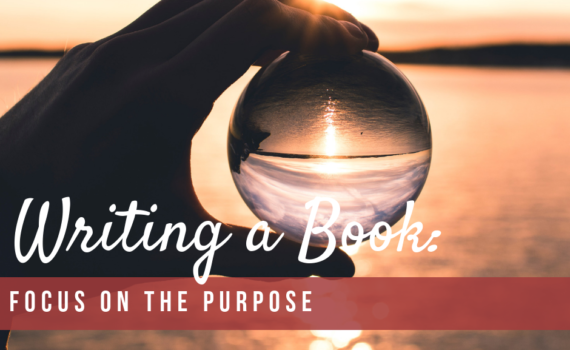 If the book doesn’t have a purpose, why write it? If you don’t know how to write a book, that doesn’t mean you can’t do it. After making a decision—a commitment to share your story—you just need a plan and a process. Family secrets. Truths not told. Sensitive feelings. Things swept under the rug. These can be big barriers to writing a book. Big risks. Perhaps you’ve been a victim of sexual abuse, or you grew up in a violent family, or you suffered under the lash of a parent’s alcoholism or other addiction. Maybe your husband is a closet homosexual or your child is struggling desperately with his or her gender identity. You know your story can literally save or change someone else’s life, but you’re afraid to tell the truth because it could hurt other people. Some of our stories are built from shame. I understand because my story comes from that same place too. But that doesn’t mean you shouldn’t tell it. I promise, someone else is going through the same thing and your story could be the hope and help they desperately need to walk through the darkness. It might be best to stop obsessing over the people you might hurt and focus on the people you can help. The problem with dirty little secrets is that they get stashed away, and when you find yourself in the middle of one of them, you’re convinced that you’re completely alone because people don’t talk about this stuff. What if you’d had a book to be your friend? What if you’d connected with a fellow sufferer—the book’s author—and felt the compassion of someone who’d been through the same thing but was now on the other side of it? Would you want to know how things got better for that individual, to see a path out of darkness for yourself? If you or someone you know is ready to tell their real story, reach out to us and we can help you take the next step! 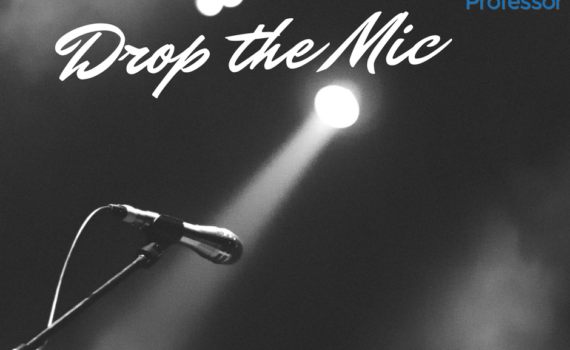 Have you ever heard the term “drop the mic” or “mic drop?” If you’re a professional coach or speaker or keep up with pop culture, chances are you have. If you haven’t, then maybe you remember seeing former President Barack Obama’s infamous “mic drop” at the end of his final correspondents dinner address. It caused quite the stir and cemented his place in history as the only President to purposely drop his mic after a speech. Webster defines mic drop as the act of intentionally dropping one’s microphone at the end of a speech or performance; displaying a bold confidence that has been very impressive or cannot be topped. I love that definition and can relate. 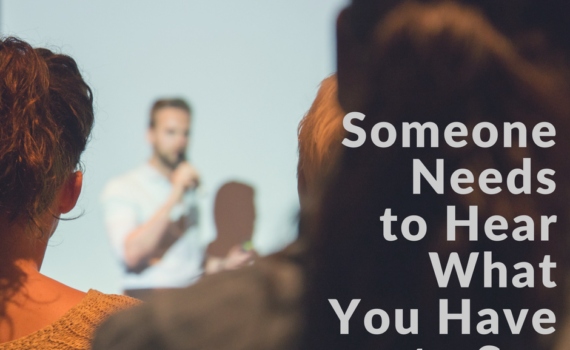 Remember the last time you gave a speech or presentation that took untold hours to write and prepare, and then after you presented, immediately knew you nailed it? You owned the stage, felt prepared, and exuded confidence because you knew you were an expert on your subject? Most importantly, your audience knew you were an expert. I love that feeling. As a book coach, I’ve given countless presentations in my life, but it’s the ones where I could have dropped the mic at the end that give me the most satisfaction. But you can only drop the mic if you’re prepared, have established credibility so your audience will believe you, and are an expert in your field. If you’re not the perceived expert in your field and don’t have credibility, keep reading. Write a Book and Finally Drop the Mic! As a coach or public speaker, you’re a different kind of entrepreneur. You have the expertise and solutions that can help others. You know how to tell a story, and you have testimonials. You’re talented and what you have to say matters. But do other people know how credible you are? Do they know you’re an expert in your field? If not, you can increase your credibility and attract a following by writing your book, but without a book, you’re just another self-proclaimed expert. If you want to know how to become an author, you’ll want to work with an Executive Book Coach. When you have a book, it establishes you as an expert, increases your credibility, and helps you attract a following. As a speaker or coach, you’ve already developed a lot of material that will be rich content for your book. The challenge is to organize that material to deliver it in book format, and wrap it in a sustainable story format that will keep your readers engaged. You can learn how to become an author. The first step is to prioritize your material. You must also know your audience and your market. Identifying your audience will help shape your book throughout the writing process and ensure better sales when it comes time to market and promote your nonfiction book. If you think your book is for everyone, you are setting yourself up for failure. No matter how great your message, it simply cannot appeal to every person! It’s no different when you’re giving a speech. What you have to say matters-but everyone is not your audience. 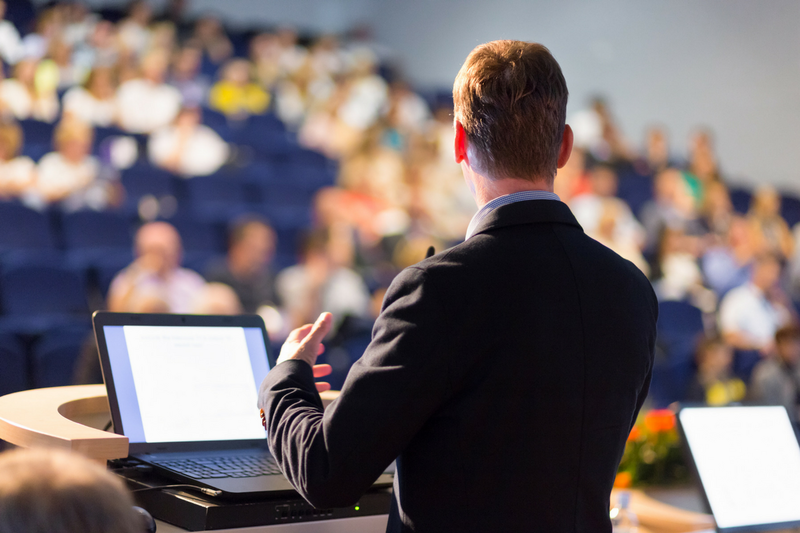 Are you tired of giving lackluster presentations that seem to fall on deaf ears because your audience doesn’t believe you? If you’re ready to establish yourself as an expert, increase your credibility, attract a following, and finally deliver that mic dropping performance that your audience can believe, reach out to us and we can help you take the next step!